With Game of Thrones season 8 and The Walking Dead season 9 not far off, you’re going to need the best Sky TV deals, packages, and special offers to make sure you’re not only getting the best value for money, but a bargain that would make even a White Walker melt with envy. It should go without saying that Sky’s selection of sports, TV, and movies can be a little bewildering. Thankfully, we’ve made things nice and simple; scrolling down the page will give you access to the best Sky TV deals about, as well as the larger bundles and optional add-ons, should you want to add a little more sparkle to your Sky package. 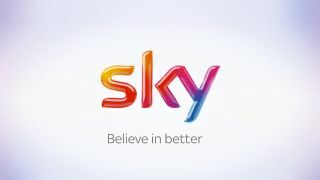 Remember the days of Sky offering several packages and you needing a degree in marketing just to figure out what’s the best Sky TV deal for you? That’s no longer the case. In fact, it’s never been easier. The standard package comes in at a flat fee of £20 a month. From there, you can add on the likes of Sky Sports, Sky Box Sets and Sky Cinema. Don’t know which one to plump for? Don’t worry! We’ve gone through all of the specific add-ons below, so you know exactly what to do when they get offered to you on the Sky checkout page. Sky Q, the device needed to watch Sky TV across multiple rooms and devices, as included in all the deals on this page for new customers. So, should you want to catch up on your Game of Thrones in one room while the kids watch Sky Sports in the other – you can! From the offers below, there are two Sky Q deals to choose from. The default option is the 1TB Sky Q box, which includes a £20 setup fee. Should you want to go for the 2TB Sky Q box, you’ll be met with an eye-watering £199 setup fee. It’s only a one-off cost, and doesn’t affect the monthly price, but there is away around it should you want double the storage. If you add Sky Q Multiscreen to your bundle (an extra £12 a month), you can get the 2TB Sky Q for a reduced setup cost of £65 which, is a saving of £134. Not too shabby. Not only does a 2TB Sky Q box come with double the storage of the standard version – that’s 1000 hours of standard def TV all ready and waiting to be stored – there are a few extra cherries on top of the cake for you to consider. With so many shows that need bingeing, you’re bound to want to record several at the same with. With the 2TB box you can record six shows at once instead of only three. It also comes with a Sky Q Touch remote and, as long as you have Sky Multiscreen at an extra £12 a month, you get access to certain channels in Ultra HD. Pairing that off with one of the best 4K TVs for gaming wouldn’t be the worst decision in the world. No longer will you have to wrestle with multiple Sky TV tiers. As a new customer, you’ll be given the Sky Entertainment package as a starter for your Sky TV deal, coming in at only £20 a month. The link below will take you through to the channel add-on page. From there, you can add on packs for just £5 a month. It’s cheaper than the old method, which often left you paying for channels you didn’t want, and it’s easier too. If you need help dissecting all of the channel add-ons we’ve gone into detail on them below, so be sure to check that out before you make your decision. Since Sky re-jigged its packages, it’s now far easier than ever to understand what you’re getting and, as a bonus, all at a cheaper price to boot. Whether you’re a new customer building your perfect bundle, or an existing customer wanting to bulk up their current package, everything is laid out before you below. If you’re a fairweather sports fan, or just, for example, want to catch some of the F1 season before shutting off all things sports for a while, you can with Sky Sports Complete Pack’s rolling contracts. These 30-day contracts, while more expensive, rid yourself of the obligation of paying for an extended duration. Sky don’t just do TV, you know. Sky Broadband is available to add to your package from as little as £20 a month, depending on what’s available in your area. Use the site’s postcode checker to find out more. £20 a month will get you 12 months of unlimited broadband instead of the usual price of £30 a month. While the speed is only topped at 17Mbps, that’s plenty to have you streaming the biggest and best TV shows in HD, as well as allowing you to game online to your heart’s content. The next tier sees the packages making the step up to fibre broadband for only £30 a month. If you were worried unlimited broadband wouldn’t be enough, this might just be the package for you: 38Mbps is perfect for all of your Sky entertainment needs. Can I order Sky deals over the phone? If you prefer the personal touch, and to ensure everything runs smoothly, you can phone 0800 014 2334, where a member of the Sky team will be happy to talk you through everything step-by-step. Before you do so, it’s always a good idea to check through the sections above so you know exactly what you want; it’ll make the whole process a lot quicker, trust us. That way, you won’t need to worry about any pushy sales stuff – you’ll know exactly what you want. What Sky TV package will Game of Thrones season 8 be on? The hottest ticket of 2019 will undoubtedly be the final season of Game of Thrones. To make sure you have a front-row seat you’ll just need the basic Sky Entertainment package. What HD channels do I get on Sky? All packages come with the following HD channels, which are also present on most Freeview boxes.